Selecting the right college is extremely important. Your choice shouldn’t be based on the fact that your friends are going there, what fraternities or sororities are available or because that’s where “so-and-so” went when they were your age. It’s not a coin toss, it’s a process! First and most important, research yourself! In order to find the right fit, you need to know where you will be the most comfortable. Take an honest look in the mirror. Don’t ask yourself where your parents or friends think you’d be the most comfortable, but where you feel you’d really fit in. Would you be lost on a large campus or would you thrive with the abundance of activities? Does the Greek System appeal to you? What about a designated quiet dorm? 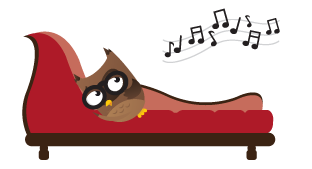 How do you best study – curled up on your bed or sitting in the library? 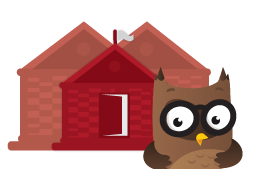 Do you want a lot of one-on-one access to your professors or access to study groups? Do you know what you want to study or do you want to explore other majors? Are you more of a math/science person or a creative liberal arts type? Taking an honest look at who you really are (not who your parents expect you to be) will help narrow your search to the right school. Remember, you are the one living your life! Once you have done some self-research, apply your new found knowledge to your college search. It is easiest to narrow down your selections if you know what you want to study. If you’ve always wanted to be an engineer, then focusing on schools with strong engineering programs is a likely criteria. We’ve all heard of the labels associated with certain schools (often these labels are perpetuated by rival school alumni). The trash talking is fun when it’s lighthearted. But when it comes to your future, don’t blindly listen to the labels – do your own research and make your own decision. Who knows, maybe that “party school” is exactly the right fit for you! Don’t let cost scare you away. Explore all your options. There are many forms of financial aid that might make college more affordable, such as scholarships, grants and installment plans. Do your research, apply, then make your decision. Expand your research to include out-of-state colleges. Colleges want geographic diversity. Having students from all over the US enriches the experience for everyone. When you’re applying to private schools in the Midwest or East Coast you’ll be one of the few from the state of Washington and you’ll have an edge over applicants who live relatively close to the college in question. Geographic diversity can pay off for you. Scholarships are partly a function of supply and demand. On the West Coast there are a lot of students competing for a few colleges, and most of the students you’re competing with are also from the West Coast. By heading east you have two things going for you: #1 there are a lot more colleges competing for students, and #2 you’re a minority! Be true to yourself and consider whether you could live there for four years. Consider colleges of all sizes. Consider your own personality. What environment will support your success? Larger schools are great because of all the activities, opportunities and diversity that can be found there. Smaller schools are great because class sizes are typically smaller, and you may have better access to your professors and the resources you may need. Visit as many college campuses as possible. This will give you a good feeling about housing, atmosphere, campus activity and curriculum. Choosing a college is your choice, but don’t be afraid to counsel with parents, school counselors and other trusted individuals. At Crystal Clear College Planning we are dedicated to helping you and your family successfully prepare for college. We have tools that can assist you in choosing the college or university that is right for you. Let us help you make the most of your college experience, beginning with your college selection. Are you a passionately independent thinker? If so, The Professor has news that will pique your interest. Here in Olympia, Washington, The Evergreen State College issues no grades and has no course-of-study requirements. It’s a place where community-minded, independent spirits excel. Instead of majors, Evergreen has “area of emphasis.” Students choose a traditional area of study (such as psychology or history) or a tailor their own degrees. Examples of student-designed courses include Media and Culture, Social Justice, and Somatic and Consciousness Studies. 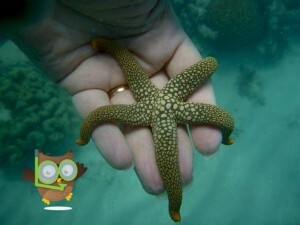 One popular area of emphasis is marine biodiversity, offered by the Biology and Life Sciences department. Students learn about marine life, the sea as a habitat, how organisms live in and adapt to their environments, oceanography, field sampling methods, statistics, laboratory techniques, and data analysis. They design, write, lead, and analyze research projects that last several semesters. After studying marine biodiversity, graduates often become employed in laboratories, universities, industries, or with non-profits. Many pursue teaching certificates and become science teachers. Others go on to careers in medicine or law. Evergreen claims a high success rate in placing marine biology graduates in professional and graduate schools. To earn a degree, students complete 180 quarter units, similar to the unit requirements at typical college. Here, however, they choose which classes they’d like to take. At Evergreen there are no grades. Instead, academic progress is assessed via narrative evaluations. The reasoning behind narrative evaluations is that they are descriptive and reveal the thinking processes behind students’ work. For each class, professors write evaluations, and students write self-evaluations. If they get stuck on this sometimes daunting task, the Writing Center is ready to assist by breaking down the self-evaluation process into manageable steps. With so many decisions to make at Evergreen, students often consult the Career Development Center, which offers structured approaches to career planning. The center assists both students beginning their studies and those about to graduate. It holds weekly “Job Club” and “Resume Review” workshops. participate collaboratively and responsibly in society; master communication and listening skills; and think critically, creatively, and independently. Several course titles reflect these campus community values: Consciousness Studies, Community Studies, and Outdoor Leadership, just to name a few. Also reflecting these values are facilities such as an organic farm, community garden, and community-run bike shop. Olympia, Washington, Evergreen’s home city, is an hour from the Pacific Coast and within day-trip distance to Seattle, Portland, and Mount Rainier. When not in class, students can be found exploring nearby woods or Puget Sound, running the campus newspaper and radio station, taking yoga or tai chi classes, or scaling the on-campus rock climbing wall. They also might be found enjoying Olympia‘s film society, farmers market, or food co-op. Evergreen is a public liberal arts college with about 4,000 undergrads. Admissions are rolling, and the acceptance rate is about 98 percent. It’s ranked 27th on the US News & World Report Best Colleges report and in the Princeton Review’s Best 378 Colleges. True to its enthusiastically independent spirit, The Evergreen State College, whose sports teams are represented by Speedy the geoduck — an enormous clam native to the region — consistently ranks on “weirdest mascot” lists. To learn more about The Evergreen State College University’s application requirements and deadlines for marine biodiversity and other areas of emphasis, please visit www.evergreen.edu. The Professor has landed in Redlands, California, a lush, temperate city of about 70,000, nestled between Southern California’s urban areas, ski-mountain destinations, and theme parks, all of which are close enough for a day trip or weekend getaway. In the midst of all this natural and cultural wonder, Redlands is a livable city of historic charm and exurban convenience. No wonder it’s nicknamed the Jewel of the Inland Empire. With such a multitude of vantage points, Redlands seems a fitting place from which to embark on a course of study that aims to “understand humanity in all its social and cultural diversity.” Those are words from the Sociology and Anthropology Department at the University of Redlands, which confers majors or minors in “SOAN,” a degree combining sociology and anthropology. Students in the program learn to understand and analyze social structures, institutions, and processes. In an effort to encourage SOAN students to be responsible citizens, the department emphasizes developing a solid understanding of inequality and prejudice and urges students to challenge stereotypes. Many SOAN majors become researchers or work with social scientists and urban planners. Others work in education, government, or business, often with a mission of solving social, economic, or environmental problems. SOAN graduates also typically pursue careers in social work, medicine, urban planning, or museums. The Professor found the views on Redlands’ picturesque, 160-acre campus quintessentially Californian. The historic Memorial Chapel, for instance, is framed by snow-capped mountains and fronted with a spacious lawn known at The Quad, shaded by oaks and bordered with palm trees. For more up-close glimpses of campus, visit the online, interactive Bulldog Cam, or watch a very inviting hip-hop campus-tour video. The University of Redlands is a private school with about 4,500 students. It has an active athletics program and a busy schedule of music, theater, community, and special events. Students practice the university’s “learning by doing” philosophy in over 120 clubs and organizations, where they pursue sports, fine arts, culture, politics, social justice, or religion. Many students find lifelong friendships by joining the school’s active Greek organizations. Several programs, departments, and projects at Redlands contribute to the university’s environmentalist efforts, characterized by LEED-certified buildings, a comprehensive recycling program, and a campus farm. And, consistent with its Earth-friendly focus, the university offers degree programs in environmental science, policy, and business. Redlands ranks on US News & World Report Best Colleges and on the Forbes list of top colleges. To learn more about University of Redlands application requirements and deadlines for Sociology/Anthropology and other programs, please visit www.redlands.edu. The Professor is starry-eyed in Los Angeles, and it’s not just because of the Hollywood glamor. This pulsing conglomerate of dozens of cities and suburbs is characterized by every style of food, fashion, art, and music The Professor can imagine. And the region is a veritable 35,000-square-mile museum of architectural styles. Drive around the Southland and you’ll see building styles such as Folk Victorian, Beaux Arts, Craftsman, Cottage, Mission Revival, Neoclassical, Spanish Colonial, Bungalow, Egyptian Revival, English and Tudor Revival, Art Deco, Modern, Contemporary, Postwar, Ranch, and many more. Not to mention styles with eclectic names such as Dingbat and Googie, and buildings shaped like a donut, a hot dog, or a gleaming silver abstraction. Woodbury has two campuses: a grassy oasis replete with palm trees in Burbank, and an urban warehouse in San Diego‘s Barrio Logan district. At both locations, there’s a strong emphasis on leadership and creativity. The architecture degree program is rigorous, requiring 160 semester hours over five years, as well as 300 hours of work experience. Woodbury’s architecture students are expected to produce innovative, high-quality models, prototypes, and designs. To help make this possible, each campus has digital fabrication laboratory outfitted with state-of-the-art equipment such as 3D printers, CNC mills, and laser cutters. Facilities also include a library of building materials, the WUHO gallery, and wood and metal shops. While Southern California is indeed rich in visual resources, Woodbury students also know there is a vibrant world to explore. With that in mind, the university offers semester-long study-away programs in Buenos Aires and Rome; summer programs in Spain, Germany, China, India, Tahiti, Latin America, and the American Southwest; and exchange programs with South Korea and Germany. The Career Development & Alumni Center offers career planning and job-finding assistance for students and graduates, who often place in design competitions and scholarship awards, go on to elite graduate schools, and work in all areas of architecture, planning, and design. Woodbury admits about 75% of applicants, has about 1,500 students, and its 10-to-1 student-faculty ratio allows for a lot of individualized attention. Incoming architecture students must submit portfolios and are expected to be prepared for college algebra and college-level writing courses. Woodbury has several academic and cultural clubs, as well as fraternities and sororities, but does not have a sports program. The university offers 16 additional undergraduate programs in fields such as business, media, design, and interdisciplinary studies. Woodbury ranked 48th on US News & World Report‘s Best Colleges list. 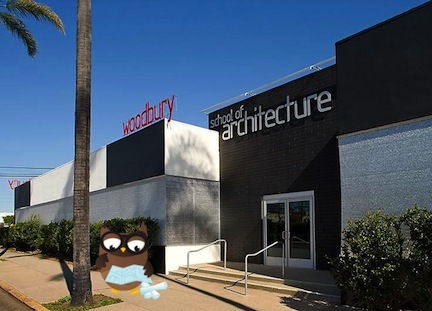 To learn more about Woodbury University’s application requirements and deadlines for architecture and other programs, please visit www.woodbury.edu. Love music? Love helping people? Did you know that with a career in music therapy you can combine those interests? Music therapists work with people who have physical, mental, or developmental disabilities. They use music — including singing, playing instruments, composing, or listening — in therapy and rehabilitation. For example, listening to music can encourage a child with autism to make eye contact; singing along with an old song can help Alzheimer’s patients trigger memories from the past; and composing can aid chemical dependency patients in their recoveries. The Music Department at Wartburg College in Waverly, Iowa, offers a Bachelor of Music in Music Therapy. The degree requires classes in music (including instruments, voice, conducting, and theory) and psychology. Students also gain experience working with therapy clients in two 30-hour practicums. After completing the program, graduates participate in a six-month internship program. They can then sit for the board certification exam to become certified music therapists. They work in a wide range of settings, including hospitals, psychiatric facilities, schools, prisons, community centers, nursing homes, preschools, hospice programs, universities, and private practices. Wartburg is a Lutheran liberal arts college with about 1,775 students and an average class size of 19. It’s lauded for being a place of active civic engagement and student volunteerism. There’s a strong emphasis on leadership and being a “learning community.” Graduates keep the service ethic alive with a tightly networked alumni community. The Professor took a look around Wartburg’s environs and found that Waverly is a quiet Midwestern city of about 10,000, nestled against the Cedar River and dotted with historic brick buildings. Even though The Professor didn’t encounter a lot of boastful types around here, he discovered that the Music Department certainly has some things to boast about. Over a quarter of Wartburg’s students — including majors in business, education, and dozens of other programs — are involved in the college’s 15 music ensembles, including six choirs, two bands, two orchestras, and several small ensembles. Some of the more prominent ensembles tour nationally and abroad. One has even performed at the White House. And, after graduation, Wartburg’s music graduates don’t trend into the “starving artist” demographic. The Music Department claims a job/graduate school placement rate of 100 percent. The college also claims several national rankings for academics, including Barron’s Best Buys in College Education. The athletics department has quite a claim to fame as well: In spring of 2012, the Wartburg Knights became the only school in NCAA history to win two national team championships on the same day, in wrestling and women’s track and field. To learn more about Wartburg College’s application requirements and deadlines for Music Therapy and other programs, please visit www.wartburg.edu.